Our vehicles are sometimes taken for granted and we tend to leave them unappreciated. 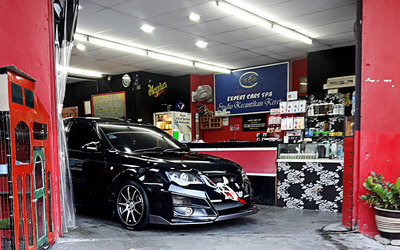 Give your car some much deserve lovin' today with a 16-step auto detail wax, polish, and nano mist service. With this service, drive off with a ride that looks as good as new! Valid Mon - Thu: 9am – 9pm; Fri - Sun: 9am - 10pm. Valid on selected public holidays. RM20 for MPV, SUV and 4x4. RM58 with glass diamond coating (value RM168).